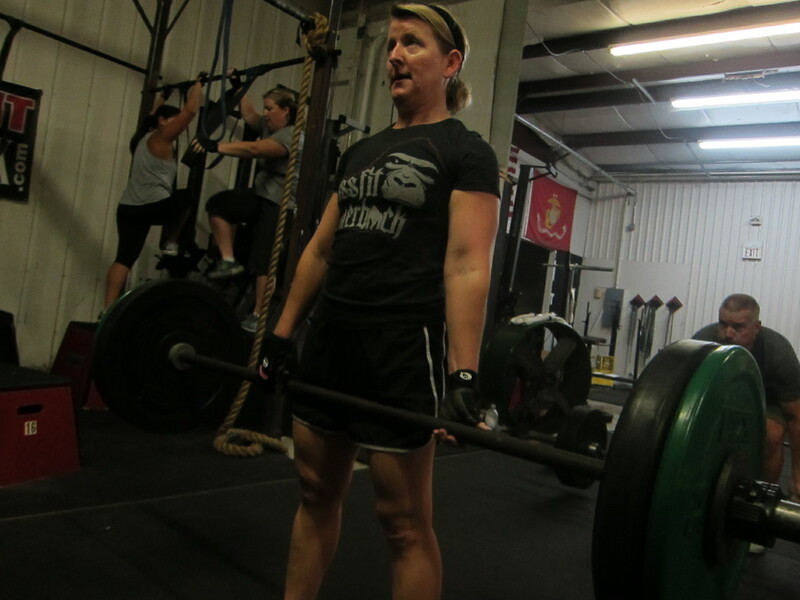 Coach’s Note: FORM, FORM, FORM this is how the dead lift remains a useful movement in the WOD. It will always be a great developer and yardstick of strength. However, when done for time, in higher volumes and combined with fatigue the risk of injury is higher. How do we avoid this pit fall? We must remember that the clock is a tool and not the end state or our workout. 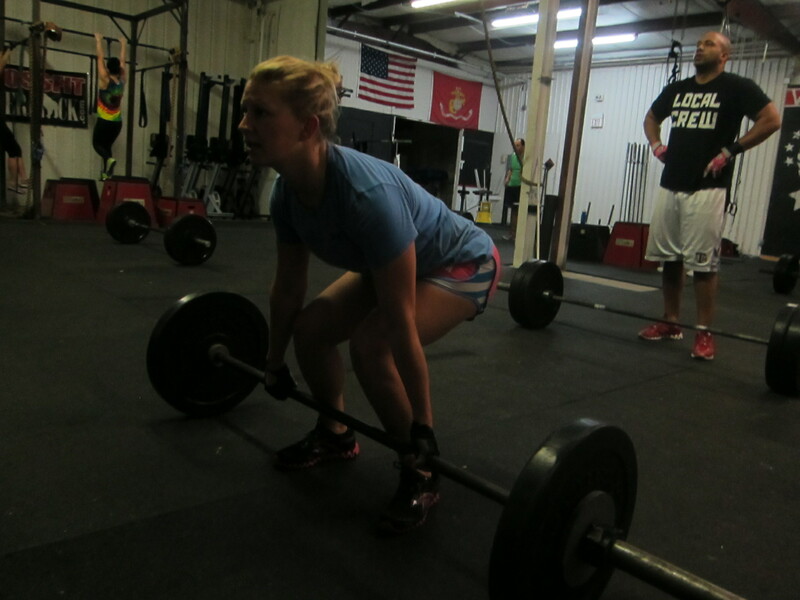 In competition we see athletes “bounce” the bar, nearly stop bending their knees to move more quickly at the hips or as fatigue overtakes them get sloppy in the spine and round their backs. I am not critical of any of these “corner cutters” in competition, but that ain’t how we train. 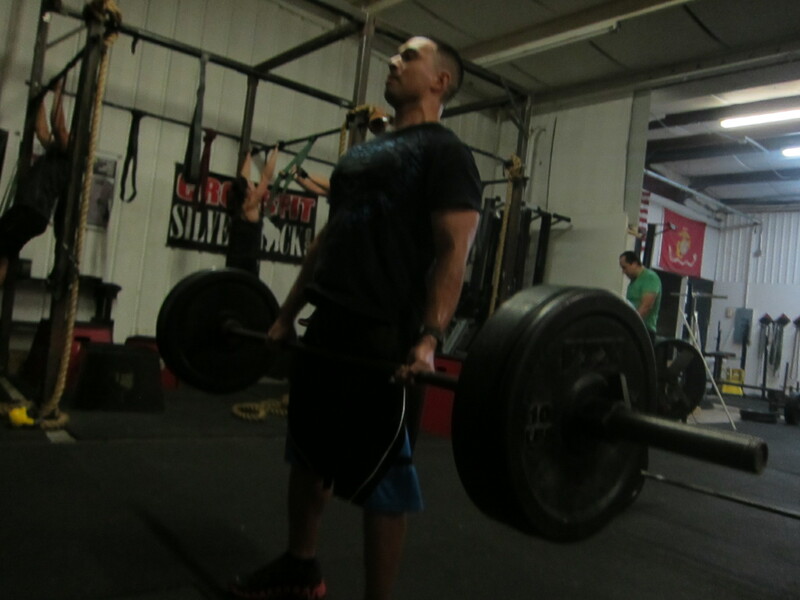 We train with perfect form to build the stronger body, to force that good position even while fatigued may cost you a little time on the clock. So what? The solid foundation that you build in movement and strength will pay huge dividends when we do pull out the stops in competition or that real life emergency when seconds count. Moreover, we are all in this for the long haul (are you a lifer like me?) then train like there is a tomorrow and you will be surprised at how much less sore you are in all the wrong places, just a bonus I guess. Melissa bringing the hurt at 5am. Clearly Paisley read the “Coach’s Note. Way to go SILVERBACK! Haha that’s not me in picture, but thanks for having me!